Whether it’s plans and specs, medical supplies, legal documents, payroll, auto parts, or any other small packages, CMF Delivery will get it where it needs to be – When you need it there. Whether it’s 1- hour, 2- hour, 4- hour, Same Day or Overnight, let CMF Delivery save you the time, the gas and the hassle. How can I be assured on time delivery ? CMF Delivery 1- hour, 2- hour, 4- hour and Same Day services are backed by CMF Delivery’s Service Commitment ensuring priority access to space and on time delivery.website need to know about you and your business? How do I receive up-to-the minute status notification throughout the delivery process ? Logon to your account through CMF web site and check the Histroy on that delivery or Just call, we have direct access to the driver who is delivering your materials and we can let you know when or if it’s been delivered ? 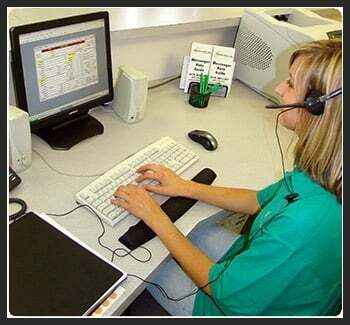 Customer service representatives can be reached at 1-877-574-3726. Where do you delivery ? 4- hour and Same Day deliveries, we can delivery almost anywhere in Southern California. The 1-hour and 2- hour deliveries are for San Diego County. CMF Delivery also offers professional On-Board Courier service to go anywhere in the US or other countries. (we fly it there for you personally). For more information call us at 1-877-574-3726. How much does it cost to ship with you ? Click on the Messenger Service tab to see are prices. CMF Delivery prices start at $11.00 for overnight deliveries, however, shipment specific price quotes can be obtained by calling 1-877-574-3726. How do I pay for CMF Delivery same day service ? CMF Delivery accepts MasterCard, Visa, and American Express or payment by phone. You may also use your CMF Delivery pre-approved account number. What are your package weight and size limitations? The maximum weight per package is 70 pounds. The maximum size per individual package is 72 total inches (add the length, width and height) with no one dimension being more than 48 inches. We do have the capability to take palletized boxes. For more information, please call us at 1-877-574-3726. Packaging must be secure and able to fully contain the contents therein. We will only accept packaging and goods that are in apparent good order, unless you have explicitly permitted otherwise. CMF Delivery will hold the package until the recipient is available unless authorized to leave the package without signature. Unsuccessful deliveries will incur a delivery attempt or a re-delivery charge.